From a pre-race love tap to a drama-filled last lap, Sunday's Bank of America ROVAL™ 400 had it all. 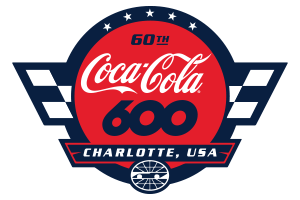 The first road-course playoff race in Monster Energy NASCAR Cup Series history added to Charlotte Motor Speedway's illustrious legacy of famous firsts, with Charlotte's 17-turn, 2.28-mile ROVAL™ setting a unique backdrop for one of the most spectacular finishes in NASCAR history. THE PAIN AT THE CHICANE: Jimmie Johnson's bid for his first victory since June 2017 seemed to be going well as Sunday's race wound to a close. Johnson was in second place behind leader Martin Truex Jr., he had a seven-point cushion to advance in the playoffs and space back to third-place Ryan Blaney. 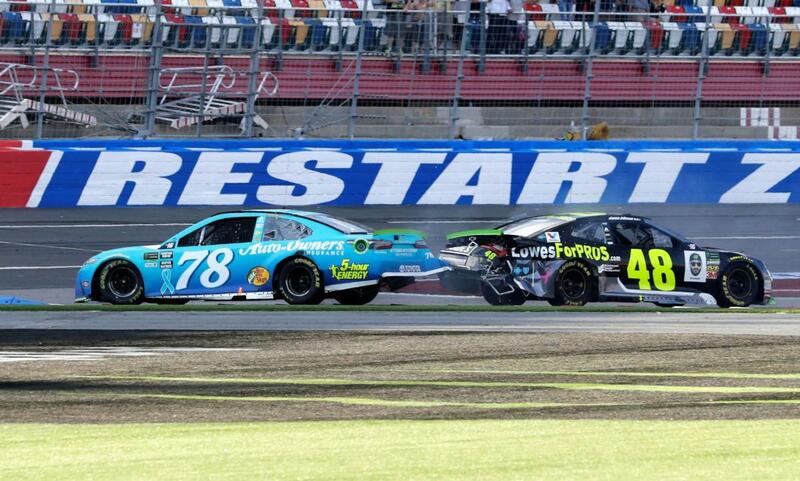 Johnson, a seven-time series champion known for his calculated moves, jumped to Truex's side entering the frontstretch chicane on the final lap - but overshot the corner, spun backwards and tagged Truex's car as Truex exited the last corner of the race. With both cars out of contention, Blaney swooped past to record an exhilarating victory. SIGN, SIGN, EVERYWHERE A SIGN: Chris Buescher's lap-70 accident was no welcome sight for JTG Daugherty Racing, but the incident left Buescher's No. 37 car carrying a unique rear passenger. An EchoPark-branded wall sign affixed itself to Buescher's car in his drive back to pit road. Not long afterward, J.J. Yeley's No. 23 Toyota became a "BO-plow" after a Bojangles' sign stuck to his car's nose during a spin. Yeley added to Bojangles' activation by having the sign stay on his car for the entire drive to pit road. THINGS THAT GO 'BUMP' IN THE DAY: Honorary Toyota Camry Pace Car Driver Sherry Pollex - an ovarian cancer survivor - got a bump from longtime boyfriend Martin Truex Jr. once pre-race pace laps got underway. It was a touching gesture just moments before the start of the race. 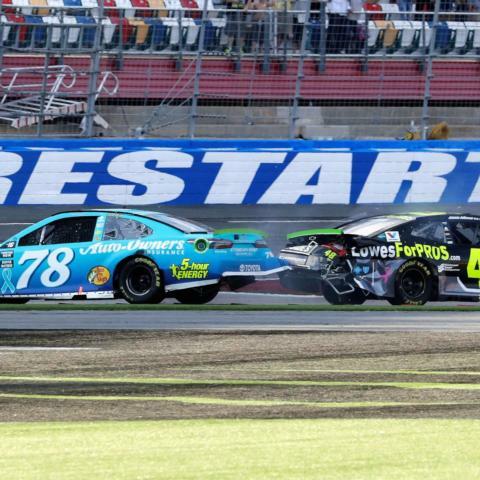 WHEN FOLLOWING THE LEADER GOES WRONG: When race leader Brad Keselowski aggressively drove toward - and into - the TUMS Heartburn Turn on a restart with six laps to go, a series of front-running cars including Kyle Larson, Kyle Busch and William Byron followed him into the wall. Byron and Busch were done for the day, but Larson's afternoon adventures had only begun. WHO'S IN, WHO'S OUT: Kyle Larson led a race-high 47 laps, but his championship hopes had all but evaporated after "The Big One" destroyed his right-front suspension. Larson kept on pushing, however, and was rewarded when Jeffrey Earnhardt's last-turn spin from contact with Daniel Hemric gave Larson the point he needed to advance in the playoffs. Aric Almirola faced similar drama, needing to roar past six cars in the final three laps to finish 19th and clinch the last spot in the second round. PRE-RACE FESTIVITIES: Vocal powerhouse and "The Voice" winner Jordan Smith delivered a phenomenal rendition of "The Star-Spangled Banner" before a hulking C-17 from the North Carolina Air National Guard 145th Fighter Wing flew past spectators. With the energy building to a frenzy, Carolina Panthers head coach and race grand marshal Ron Rivera kicked things up another notch prior to the green flag with a powerful command to start engines.